We highly encourage the exploration of non-petroleum based plastic straws. 8.3 billion single-use plastic straws end up in the ocean each year and will never biodegrade. We have had great success with paper straws, corn-based plastics that will break down over time, and metal straws. OkStraw is an affordable option. See www.thelaststraw.com.au for more information on plastic straws and what you can do to help mitigate the damage they are having on our world. 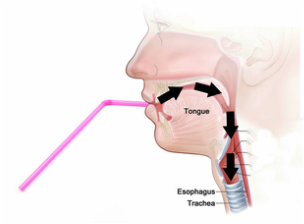 Straw phonation is when you put a straw in your mouth and make sound through the straw. ​It is part of a series of researched warm ups called SOVT Exercises. SOVT means Semi-Occluded Vocal Tract, a fancy way to say the mouth is partially closed. 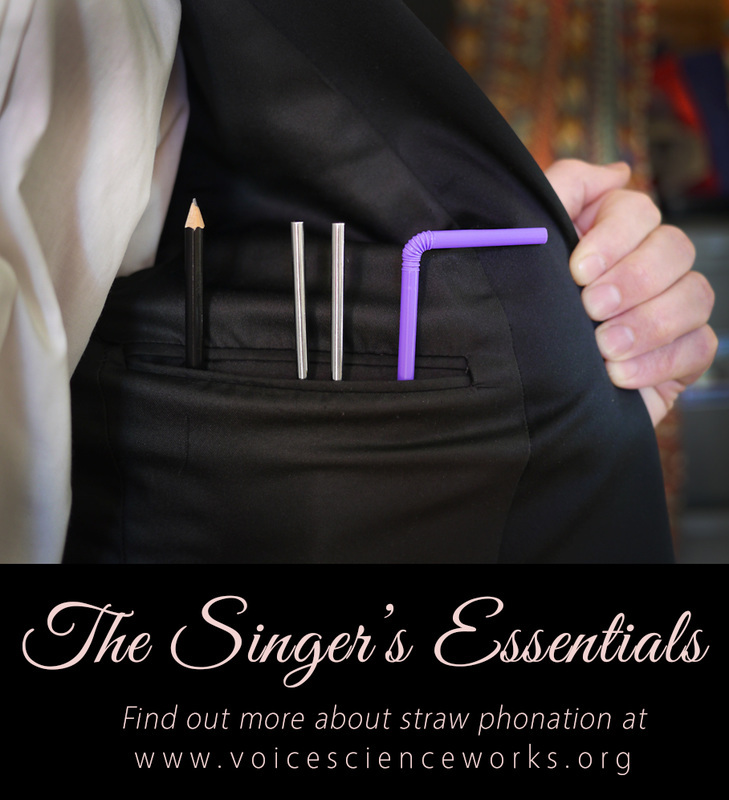 There are three main benefits to straw phonation that you can read about below. The short answer is that during straw phonation there is less impact, collision, and stress on the vocal folds while they continue to stretch in a balanced position. ​Straw Phonation could be compared to doing exercises in a pool. There is less impact and stress on the muscles while still allowing them to stretch. Pressure in the vocal tract is a huge contributor to vocal fold vibration. Without the vocal tract the vocal folds would not be able to sustain vibration. See our page on Vocal Folds for more information. When the mouth is partially closed, or wrapped around a straw, more of the pressure in the vocal tract is forced to stay in the vocal tract. This makes vocal fold vibration easier. When these positive and negative pressures of the vocal tract line up with the opening and closing of the vocal folds, it's like giving someone a push on the swing at the exact right time. With straw phonation, more of this vocal tract pressure exists. So to go with the swing metaphor, the vocal folds are getting a stronger 'push' without having to 'pump' as hard. 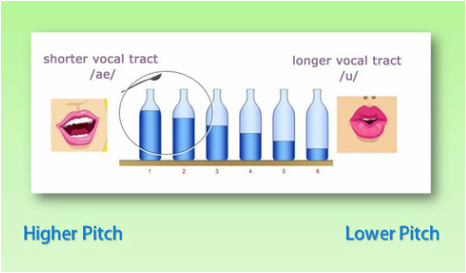 Straw phonation = less vocal fold fatigue. When the mouth is open during phonation, air comes up from the lungs, impacts the bottom of the folds, and is expelled through the mouth. While some pressure always returns, when the mouth is partially closed (semi-occluded), more pressure reflects at the lips and returns to the vocal folds. This back pressure helps align the vocal folds in a more balanced, squared-up position. This balanced position is key for coordinating around transition points in the voice. 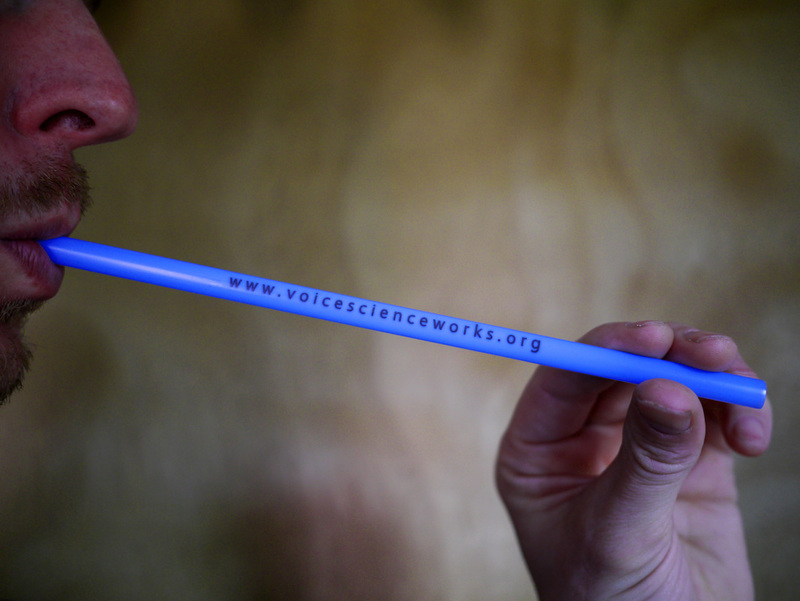 Sliding slowly on the straw through a tricky 'break' point in the voice trains the vocal folds to vibrate in a balanced, medial position instead of shifting abruptly from one position to the next. Formants are the pitch that the air inside the vocal tract wants to vibrate at. This pitch is changed when the size of the vocal tract changes and size of the opening (the mouth opening) changes. A longer vocal tract with a smaller opening will vibrate at a lower pitch. See our page on Harmonics vs. Formants for a full explanation. A visual display of a 'whoop' timbre, where the fundamental pitch is the strongest out of all the harmonics present. The fundamental pitch comes from the vocal folds and is amplified by a low formant pitch in the vocal tract. This low formant pitch in the vocal tract requires a long column of air, easily created with straw phonation. Creating this low formant value in straw phonation can help singers understand the sensations of a 'whoop' timbre. This is when the fundamental pitch, or first vibration, coming from the vocal folds is given a boost by a lower formant pitch in the vocal tract. See our page on Acoustic Registration for more information.